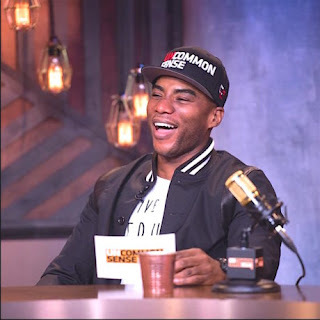 Following the most recent P-Word Hollywood Access tapes bombshell coming out of Donald Trump's Presidential campaign, Charlamagne tha god, tweeted out a series of tweets that criticized those that came down hard on Trump. He called many hypocrites and said men have to do better. If Charlamagne is anything, he is the master of social media and follows his own rules. Of course he took a hit from many that disagreed with him not coming down extra hard on Donald Trump. But that did not deter him from stating his opinions on men who do say and do one thing in public and say another thing in private. For the record I'm not justifying what Trump said I'm saying we all trash. He shouldn't be president and some of us men need to do better. The radio personality's tweets do signal a change and purpose for Charlamagne. The following article from XONecole reveals a different side of the personality away from the glow of the MTV cameras and the microphone of Power 105.1. He says he will use his platform and celebrity to empower others.